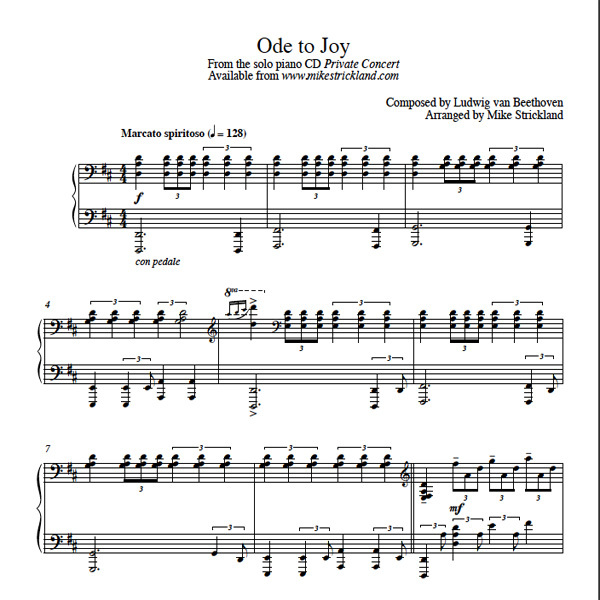 This is an exact transcription of Mike’s arrangement of Beethoven’s beautiful “Ode To Joy” from the CD Private Concert..
Rhythmic, joyous, proud and celebratory, this fabulous arrangement is a great one for a special occasion. This is a PDF instant download. The download link will appear immediately after your completed purchase on the “receipt” page. The link will also appear in your email receipt. Also available in hard copy beautifully printed 9 X 12 booklet form HERE.